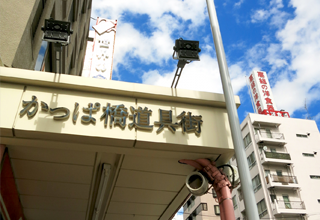 Tourist information | Hotel Trend Asakusa ANNEX is a great place to stay in Tokyo . 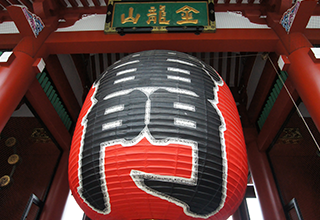 Sensouji temple is the oldest temple in Tokyo, located in Asakusa 2-chome, Taito-ku, Tokyo. Honorific mountain name is Kinryu-zan. Principal image of Buddha is Shokannon Bosatsu, Goddess of Mercy. Originally belonged to Tendai Buddhism, it became the headquarters of Saint Geumonjong after World War II. Asakusa Hanayashiki is an amusement park located in Asakusa. Opened in 1853, it is considered the oldest amusement park in Japan. A lot of people enjoy walk tasting as choosing souvenirs in Asakusa. 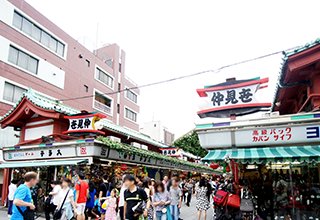 Nakamise-dori Avenue is a 250m long shopping street leading from Kaminarimon gate to Takarazumon of Sensoji-temple. 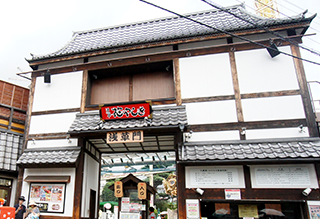 It is known as the oldest shopping street in Japan with local speciality product shops such as "Ningyo-yaki", doll shaped cakes and "Kaminariokoshi", sweet rice cracker. Tokyo Sky Tree is a radio tower located at Oshiage, Sumida-ku, Tokyo. 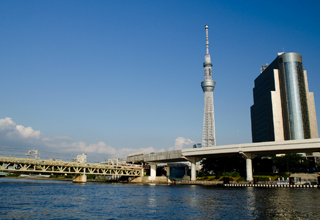 Tourism sights, shops and Commercial facilities and office buildings are installed, and surrounding facilities including trees are called "Tokyo Sky Tree Town". Kappabashi is the wholesale district, located at Matsugaya area, Nishi-Asakusa, Taito-ku. It specializes in tools that sells food, package materials, cooking utensils, food samples, ingredients, cooking costumes etc. It is the biggest tool town in Japan, and also called as Kappa Bridge, Kappabashi Town Street, or Kappabashi Tool Street.